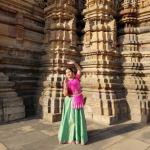 Katha Dance Theatre Performs at Khajuraho! 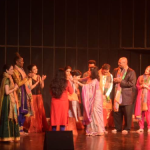 Katha Dance Theatre completed a two week tour of India, where they were featured at the acclaimed Khajuraho Classical Dance Festival. 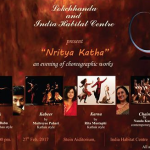 KDT performed onstage at the event on February 23rd, 2017. 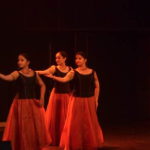 Their performance of Karna – The Abandoned Hero featured the first Kathak dance and Gospel music fusion piece ever performed in India. KDT company dancers were accompanied by local renowned musicians, The Steeles, with JD Steele, Billy Steele, and Gretchen Baglyos. 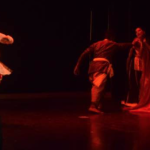 This performance was very well received and was a highlight of the seven day dance festival.